In the summer of 2015, the Illinois Pollution Control Board (IPCB) accepted updated water quality standards for the Chicago River, guaranteeing a healthy water environment for people, plants, and animals. EPA map showing water-use designations throughout the CAWS. Click for more information. Friends, along with its members and partner environmental organizations, advocated for standards that protected the people, plants, and animals that depend on the Chicago River. The process began in 1999, making it the longest rulemaking procedure in Illinois history, and resulted in significant improvements for temperature, dissolved oxygen, chlorides, as well as effluent disinfection at wastewater treatment facilities. The U.S. Clean Water Act guarantees “water quality which provides for the protection and propagation of fish, shellfish, and wildlife and provides for recreation in and on the water.” The language of “fishable/swimmable” provides the main mechanisms for improving water quality standards throughout the US: waterways must be clean enough for fish to thrive and people to swim in. Crews survey the Thornton Quarry shortly before opening. Photo courtesy of MWRD. 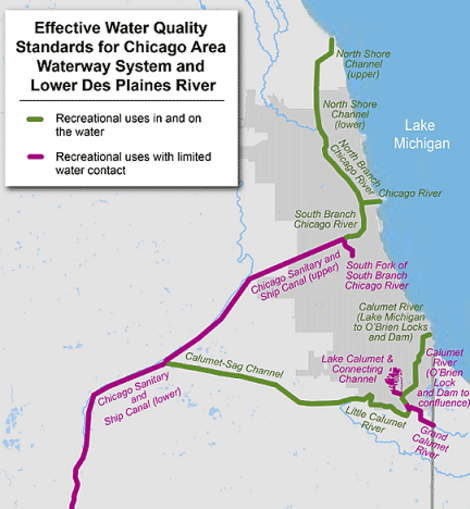 This timeline illustrates the environmental rulemaking process as it applies to water quality and discusses the most important agencies and partners involved, as well as key initiatives that impacted the process and improved water quality throughout the Chicago Area Waterway System (CAWS). For more information, visit Friends' Resource Page. 1972: U.S. Congress passed the Clean Water Act (CWA) and set the goal of fishable and swimmable water quality for all U.S. waterways. The law also provides criteria and mechanisms for attainment, most notably, the CWA requires all pollutant discharges into U.S. waterways to obtain permits—including non-point source discharges such as stormwater. The National Pollution Discharge Elimination System (NPDES) has greatly improved water quality throughout U.S. waterways. Visit the EPA's Clean Water Act website for more information. In order to comply with CWA water quality provisions, MWRD began the massive Tunnel and Reservoir Plan (TARP) to control sewage in the CAWS. 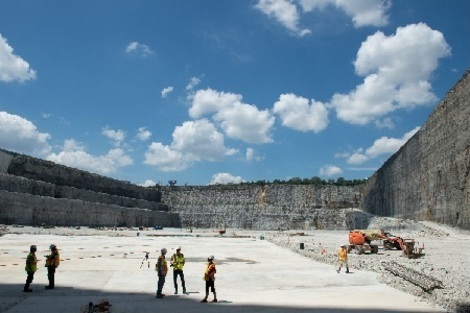 Phase I of the project consisted of over 109 miles of tunnels and 2.3 billion gallons of stormwater storage. Read more about the technology, progress, and benefits of TARP at MWRD. 1986: U.S. Environmental Protection Agency assigns secondary-use designations to much of the CAWS. This requires minimum water quality standards that protect for limited wildlife and recreation. 2000: Friends and partner organizations, Openlands and the Civic Federation, released Waterways for the Future, outlining how the Clean Water Act applies to the Chicago River, and how to use the law’s goals and legal protections for a cleaner waterway. Read the full report, Waterways for the Future, on Openlands website. 2002-2007: In order to adopt stricter standards for water quality, officials must first upgrade water use designations by conducting a Use Attainability Analysis (UAA). At the time, the CAWS secondary use designation only protected limited contact with the waterway, and the law provided only broad water quality protections. The UAA demonstrated that the current use designation and water quality standards were not protecting the users of the river, such as kayakers and, in some instances, swimmers. 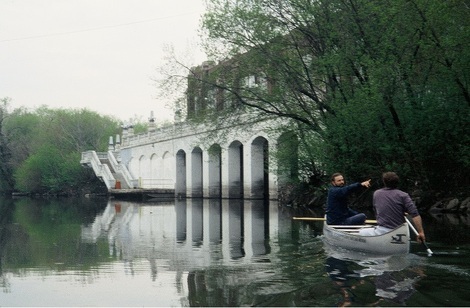 Canoers enjoy the waters near the Lawrence Avenue Pumping Station (2005). -IEPA filed a recommendation to update water quality standards throughout the CAWS with the IPCB. -U.S. EPA: The Clean Water Act and the Use Attainability Analysis. 2011: U.S. EPA approves water quality standards submitted by the Illinois Environmental Protection Agency. After almost a decade of debate, Illinois adopted water quality standards to protect primary contact recreational uses of the waterway—such as kayaking and canoeing—on the North Branch, the Main Stem, the South Branch to Bubbly Creek, the Cal-Sag Channel and Calumet River. See EPA's official statement on upgrading water quality in the CAWS. 2012: U.S. EPA completes its review of IEPA’s new and revised water quality standards for the CAWS and accepts all water-use designation upgrades. The Metropolitan Water Reclamation District of Greater Chicago begins the process of adopting disinfection technologies at its wastewater treatment facilities. Read MWRD's statement on disinfection technology at the O'Brien and Calumet water reclamation plants. 2015: The IPCB accepted revised water use designations and standards for the CAWS. The following standards updates will have an immediate impact on the water quality of the Chicago River and the people, plants and wildlife that depend on it. -Click here to compare the original and upgraded water quality standards for the CAWS. -Click here to read all pollutants covered by the IPCB water quality standards. Also in 2015, MWRD officially announced the successful installation of disinfection technology at the O’Brien and Calumet Water Reclamation Plants. In place for the 2016 recreational season, the disinfection technology eliminates harmful bacteria from effluent, making the Chicago River cleaner than ever before.